This multi-tool won't replace your primary hand tools, but it's an excellent supplement to keep on you when going back to your tool bag is inconvenient. The Klein Hybrid Plier Multi-Tool that I have today is the second tool of Klein’s new hybrid offerings. I’ve already had the opportunity to review the first in the series, the Hybrid Pliers with Crimper, and – spoiler alert! – I found them to be excellent. Well, these new hybrid pliers, which feature the seven most common electrician’s tools in a Leatherman-style design, include a lot of the same things that made Klein’s first offering great as well. It even received a coveted 2018 Pro Tool Innovation Award. Here’s how it works. Like most multi-tools, keep your expectations in check. This is an excellent supplementary tool for any Pro working around the electrical trade. “Save a trip to the tool bag!” That’s how Klein describes the Klein Hybrid Plier Multi-Tool’s role in your collection. When your regular tools aren’t close at hand, this hybrid can get the job done. In that role, this tool is excellent! The wire strippers, cutting knives, screwdrivers, and pocket knife work quite well. The pliers are beefy and wide for this kind of tool and don’t expect the knurling to be especially aggressive. Still, the handle length and plier size afford you a solid grip. I didn’t get to use the man-tweezers, but it’s not a bad addition. Put it in your pocket or pouch and forget about lugging your whole bag or box around with you. In a pinch, the Klein Tools Electrician’s Hybrid Plier Multi-Tool will probably be able to bail you out. That’s how I used them. This is also a great gift for the Pro electrician in your life. 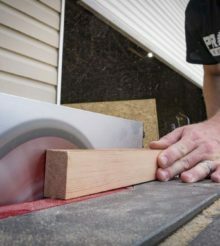 It might even be a great introduction to Klein Tools for the homeowner. The Klein Tools Electrician’s Hybrid Plier Multi-Tool will set you back just about $40. For all it can do, and for its potential to save you having to walk back and forth for a tool, I don’t think that’s an unreasonable price. Klein has a couple of competitors in the multi-tool arena, namely the Southwire MT001 and the Gerber Groundbreaker. But Southwire’s option punches in around $60 and the Groundbreaker will run you $130 and up. These competitors do offer a few more tools. But in my mind, the Klein strikes the right balance of price and functionality. The thing is, while a tool like this is helpful, it’s not going to replace a Pro’s primary tools. I feel that if I’m going to drop over $40 on a hand tool, it will likely be a primary tool for me. Of course, your job situation and workflow might cause you to think differently. You can rely on the Klein Tools Electrician’s Hybrid Plier Multi-Tool when you don’t have your regular tools on hand. It’s a solid supplement to your collection at a great price. Anyone use these regularly? I’m trying to create a set of tools that will fit in a small bag for my maintenance job. My goal is to have 7 or 8 tools that can address most of my trouble calls, rather than have to lug my overloaded tool backpack. My backpack worked great at my last job, it’ just not as useful where I’m currently at.